You are browsing the archive for Skillhare. 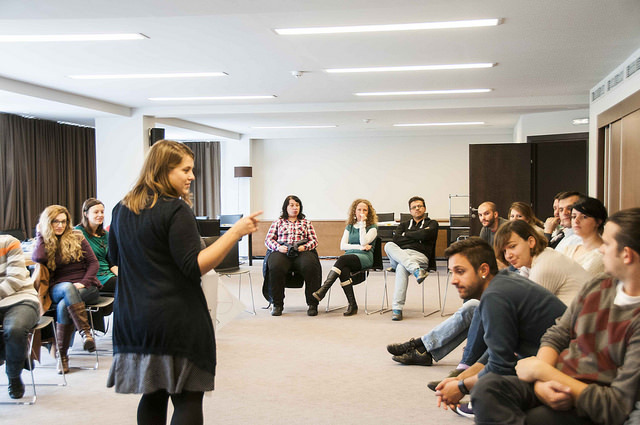 At the end of November (26th-28th), in Dojran – a city in Macedonia, we held a two-day training with Milena. Tailored to the needs of the 24 participants from different CSOs, we tried to cover as much as possible of the topics we narrowed down using the form we composed for determining their skills and needs. We started the training with the basic introduction to what data is and where to find it, and the first day we mostly focused on working with spreadsheets, formulas and pivot tables. The next day we shared some thoughts and skills on data visualization, worked with different online data visualization and mapping tools and talked about creating beautiful timelines. Anyhow, the agenda for the training is here for everyone to check, use and adapt. During the two days we tried to be as flexible as possible and adapt to the real time needs of the participants, and to engage everyone in a more interactive way of learning through practical exercises and teamwork. Here you can see some more photos from the training. This blog post is based on the School of Data skillshare I hosted on mobile data collection. Thanks to everyone who took part in it! Of recent, mobile has become an increasingly popular method of data collection. This is achieved through having an application or electronic form on a mobile device such as a smartphone or a tablet. These devices offer innovative ways to gather data regardless of time and location of the respondent. The benefits of mobile data collection are obvious, such as quicker response times and the possibility to reach previously hard-to-reach target groups. 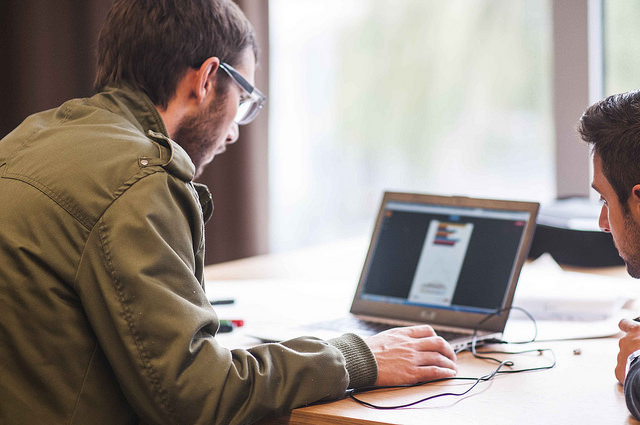 In this blog post I share some of the tools that I have been using and developing applications on top of for the past five years. 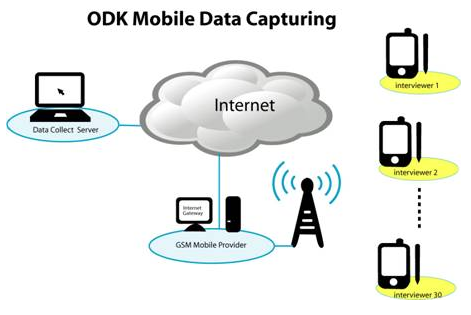 ODK allows data collection using mobile devices and data submission to an online server, even without an Internet connection or mobile carrier service at the time of data collection. ODK, which uses the Android platform, supports a wide variety of questions in the electronic forms such as text, number, location, audio, video, image and barcodes. Commcare is an open-source mobile platform designed for data collection, client management, decision support, and behavior change communication. Commcare consists of two main technology components: Commcare Mobile and CommCareHQ. 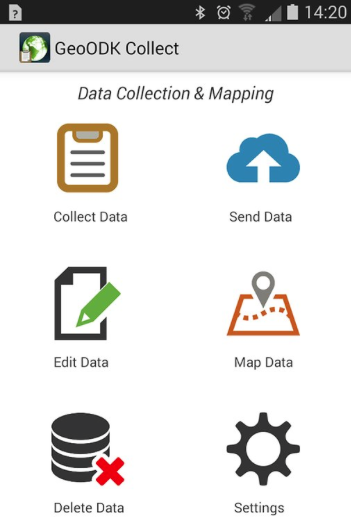 The mobile application is used by client-facing community health workers/enumerator in visits as a data collection and educational tool and includes optional audio, image, and audio, GPS locations and video prompts. Users access the application-building platform through the website CommCareHQ which is operated on a cloud-based server. Commcare supports J2ME feature phones, Android phones, and Android tablets and can capture photos and GPS readings, Commcare supports multi-languages and non-roman character scripts as well as the integration of multimedia (image, audio, and video). 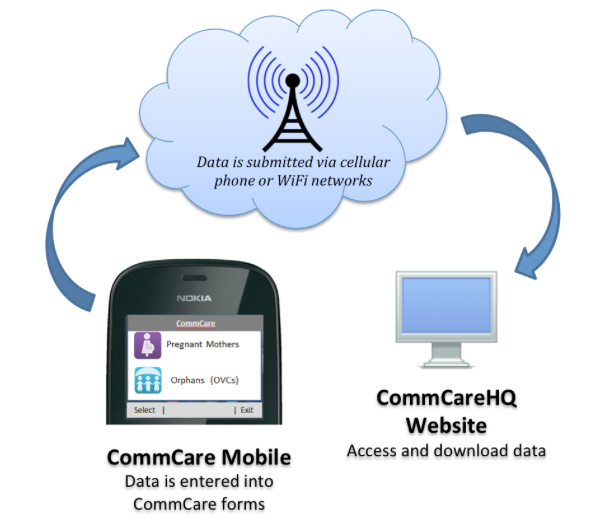 CommCare mobile versions allow applications to run offline and collected data can be transmitted to CommCareHQ when wireless (GPRS) or Internet (WI-FI) connectivity becomes available. Minimizes workforce and hence reduces cost of data collection by cutting out data entry personnel. · Save cost related to printing, storage and management of documents associated with paper based data collection. 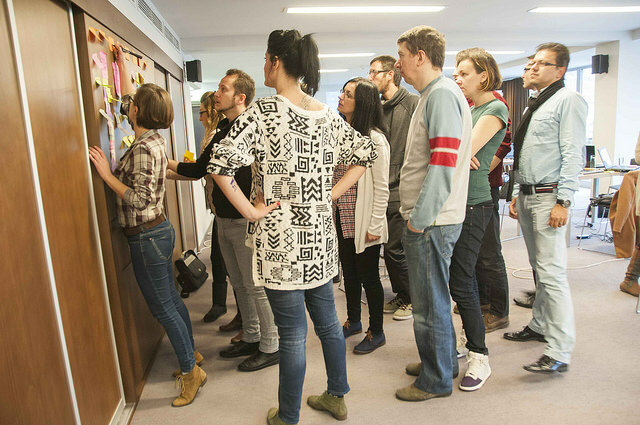 Get better feedback from your data training events! Olu and Rahul prepared these slides with corresponding notes and resources. We hope that this will be useful for you when you run your next training event. This presentation has detailed speaker notes. Open the slide deck to see them. Comments Off on Get better feedback from your data training events!